essential and how it is beneficial because of the limited outreach of the programme. The reason is simple: the concerned department officials do not contact farmers at their doorsteps. The outcome is low per acre yield. Nutrient depletion and land degradation are the major factors for low agricultural productivity. Addition of toxic and harmful substances to the soil in significant quantities contaminates it and disturbs its chemical composition. This is generally caused by application of chemical industrial wastes and excessive or inappropriate use of fertilisers and pesticides. The soil in any country, based on its composition, has been divided into eight categories. The first has the least limitations for agricultural use and can give high yield of crop with proper management. Categories II and III have relatively more limitations for farm use and need better management. The problems are severer in category IV soil which, though capable of producing a few marginal crops, has little ability for improvement. Soils from categories V to VII are not suited to arable farming but can be used for rangeland or forestry. Soil of category VIII is barren. Application of suitable fertiliser and pesticides to the soil, at appropriate time and in proper way and quantity increases its productivity by 30-50 per cent. The soil testing technology helps determine the kinds of chemical input the soil needs to improve its output. “In agriculture offices in some districts and research stations on different crops – for example, the tobacco research stations, sugar/cereal crops research institutes – there are soil testing laboratories where soil samples are examined, analysed and the results conveyed to farmers suggesting the requirements of the land under their use. The growers are also helped and guided how to improve its fertility,” said an official. “It is with the help of this technology that farmers are able to control the degradation and improve physical properties of land to increase yield and ensure prosperity for the farmers,” he added, emphasising the need to increase the number of soil testing laboratories across the province to facilitate the growers. Sabir Ali Khan, another farmer from Swabi, says that after repeated poor yields, he had a chance to get the soil tested in a laboratory which diagnosed its deficiencies and enabled him to take measures to increase its productivity. Farmers often opt to use or reject a particular technology on the basis of their interest, experience, the cost of the product and their financial position. They usually oppose new technologies and strategies but once their utility is established, they adopt it. But this requires expertise, contacts and sufficient strength of extension personnel, which unfortunately are lacking here. Small farmers lack resources to approach the research and extension systems. The department with its aversion to participatory approach i.e. working together with farmers in the target area, has also left them in the lurch. Average per hectare yield of wheat in KP is much less than the national average. In 2007-08, the national average yield per hectare was 2,585kg for the country while for KP it was 1471kg. Average sugarcane yield by progressive farmers is around 40 tons per acre while ordinary farmers still have per acre yield of around 16-20 tons. Per acre yield of maize in central Punjab has gone up to 4,600 kg, whereas it is generally between 700-1,200kg in KP. “Soil testing laboratories should be established in all district and tehsils of the province with the use of geographical information system for assessment and mapping of soil fertility. are yet to be provided in most of the districts. The private sector should also set up its own soil testing laboratories in farming areas to supplement the work of the public sector. KHYBER Pakhtunkhwa’s Sugar Crop Research Institute in Mardan is handicapped for paucity of funds, shortage of research staff and meagre seed production capacity, according to its officials. “About 80 per cent of our limited budget is consumed by wage-bill and the rest is spent mainly on land preparation, cultivation and harvesting at the SCRI and two other research stations at Harichand and Dargai. There is virtually nothing left for research and development work,” said Sartaj Ali, farm manager at the SCRI. While there are no funds for purchasing new equipment and machinery, load-shedding and low voltage often damage the precious equipment installed in early 1990s. The institute is spread over 96 acres. One-third of the 70 acres available for cultivation is kept fallow while the rest is under cane cultivation. “But only 15 acres are under seed multiplication that produce around 440 tons of quality cane-seeds. This is clearly insufficient for the province. And in its subsidiary, Harichand farm too, 10 of 20 acres available for cane-seed multiplication remains unused for want of funds,” he said. “The SCRI has developed 22 cane varieties so far. Some of these varieties have increased yield and income of farmers. “Sugarcane farmers in 75 per cent areas grow CP77/400, a seed variety developed by SCRI. Sugarcane requires abundant water, more than required by rice crop. So we have developed SPSG-394, Mardan 92, and NCO310 as well for water stress areas. Most of these varieties have 12 per cent of sugar recovery ratio, the highest at world level,” he added. “We are trying to bridge the huge gap between yields of farmers, institute and progressive farmers. While our average yield at the SCRI is about 32-36 tons, progressive farmers obtain around 40 tons per acre while per acre yield of common farmers is not more than 16-20 tons,” he said. “Their efforts in this regard have failed due to weak extension service and liaison with farmers as a result of shortage of staff and resources at our end and ignorance and lack of cooperation and coordination at the farmers’ side,” he added. The staff shortage has also undermined the research work at the SCRI. Lack of service structure and opportunities for promotion as well as poor remuneration have discouraged many a talented people to join as research officers and encouraged the existing ones to leave for lucrative offers elsewhere. “Over half of the 20 research officers’ slots are lying vacant. Country-wise, the situation is even worse. Over 260 of the 350 research officers in the SCRIs countrywide have left. Another problem is that 60 per cent of the existing research officers, recruited in 1973-74, are retiring in the next three to four years. There is no replacement for them in sight, he said. Responding to a question on the causes of low cane yield, Ali said: “Most farmers resort to intercropping of wheat and cane which reduces output. Most of the farmers use less than the recommended four tons seed per acre, resulting in less plant population. They also do not use enough fertiliser and pesticides. Moreover, they still grow old varieties and delay cultivation and harvesting of cane for better prices. Regular watering, inconsistent rains and abundant poplar trees around field also reduce yield and cause termites problems as well. Another issue is that of small landholding. Land fragmentation reduces cropped areas and compels farmers to do inter-cropping and makes commercial and mechanised farming impossible,” he added. “Farmers should grow early cane varieties (CP72/2086, CP80/1827, Mardan93 and CP85/1491) as these mature in September/October and provide better sugar recovery (12 per cent) and price, an opportunity to cultivate wheat in time and save ratoons from frost and cold,” he added. According to him, globally, education, research and extension are looked after by the universities. “In Pakistan too from 1982 till 2006, research work was the responsibility of universities. This expedited the process of sanctioning the project. But in 2006-07, during the previous MMA government, research was handed over to the department, not a good decision,” he said. WHILE potato growers in upper Swat had not yet recovered from the huge losses caused by the floods and militancy, the dilapidated communication infrastructure in the area is adding to their woes. Most of the bridges destroyed by last year’s deluge have been temporarily restored but the road from Madyan to Kalam, the potato growing strip, is yet to be rebuilt. This has made transportation of the crop from Kalam and other upper Swat areas difficult, costly and unaffordable for growers. Officials claimed that the reconstruction work would be finished within a year but the pace of work indicates it may take much longer for the actual completion. If the monsoon this year triggers floods again, access to upper Swat may become impossible. Shah Abdar, president of model farm services centre, upper Swat, says the hilly cold terrain grows quality potato in abundance. “In areas which are accessible, the commodity fetches handsome returns to the farmers.” he said. “Large size, good quality and taste are the hallmarks of Swat potato but the middlemen and commission agents reap most of the profits. Average per hectare yield of the crop in KP and the country is 12 and 17 metric tons respectively but it is around 20MT in Swat,” he added. According to him, Kalam potato farmers had greatly benefited from the support and guidance offered by the Switzerland-funded Kalam integrated development project but communication problems are diminishing its impact. Tor Gul, another potato farmer from Miandam, Swat, said the seeds-production ratio for potato was up to 1:10. “It means that one sack of potato seeds weighing 90kg produces about 900kg of potato and even more. An acre of potato crop yields around 360 maunds (14MT) in Swat,” he said. Going by the current market price, an acre’s harvest can fetch up to Rs0.36 million for farmers. In the international market it could fetch $7,000 or Rs0.59mn (average price of $500 per metric ton). To fetch a good price, the farmers in some areas like Miandam harvest their crop before maturity. However, it too has its related problems. “The potatoes so harvested are small, decay quickly and hence need to be used within weeks but nevertheless provide us the growers good returns. The more the delay, the lesser the price at the market,” says Gul. Elsewhere overproduction, rather than under production, is the problem. “Inadequate storage, processing facilities and the manipulation of the market by middlemen results in price volatility as not all excess production can be stored or processed for consumption during the off season. Sometimes there is surplus production that crashes prices at the market hitting the farmers and then there is limited supply that hits the common man with price increase. This can be avoided by proper bulk storage facility, regulated marketing system and efficient delivery of potato in the market,” another farmer Bakht Biland Khan, said. Limited grading and labelling of the produce, absence of regulated local potato purchase along export facilitation centres and market information system are the other major problems faced by potato growers. Despite favourable climatic conditions for the three potato crops, KP has a meagre share in countrywide potato yield. Its output was about 0.12 million tons from 10,000 hectares in 2010 against 3.4 million tons from 149,000 hectares in the country.The main potato producing areas in KP are Nowshera, Dir, Mansehra, Upper Swat, Chitral and Mardan. 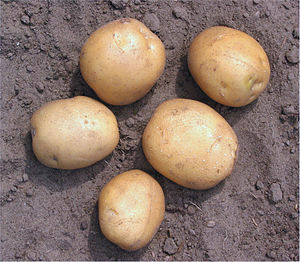 Potato crop is sown both in summer and winter in Swat with seeds obtained from Punjab. An estimated 20 per cent potato is wasted post harvest primarily due to improper handling and lack of proper cold storage facilities. A survey report by a foreign agency has estimated that about 10 per cent reduction in post-harvest losses cane save Rs6 billion. Potatoes are sold at around $500 per metric ton in the world market. Despite having export potential worth $1bn, Pakistan’s total potato exports were just $50 million in 2009. Lack of credit facilities is the main snag for small growers. In some areas of Chitral this year, potato farmers were unable to buy standardised seed from the market as banks denied or delayed credit facilities. Original text of the article. While potato farmers in upper Swat had not yet recovered from massive losses for the impacts of floods and militancy, the dilapidated communication infrastructure in the area is adding to their woes this season once again. Though most of the bridges destroyed by last year’s deluge have been temporarily restored, the road from Madyan to Kalam, the potential potato growing strip, is yet to be rebuilt. This has made transportation of the potato produce from Kalam and other upper Swat areas highly difficult and costly, almost unaffordable for farmers. Officials claim the reconstruction work would finish within a year but the pace and volume of the work suggests it may take three to four years to complete. And if this year’s rainy season triggers floods again, access to upper Swat may virtually come to a standstill. Shah Abdar, the president of model farm services centre upper Swat, says the hilly cold terrain grows abundant quality potato. “In areas which are accessible, the commodity fetches handsome returns to the farmers. In the past, farmers in far off villages would bring their produce to the market using camels and donkeys but that has also become unfeasible as onward transportation from upper Swat is expensive beyond affordability, for transportation charges have quadrupled of late,” he said. “There is vast potential for the crop. Large size and good taste and quality are the hallmarks of Swat potato but the middlemen and commission agents have reaped most of the profits. Average yield per hectare is 12 and 17 metric tons in KP and the country respectively but is around 20MT in Swat. But, for marketing snags, farmers prefer to grow only for their own needs and avoid commercial farming,” he added. According to him, Kalam potato farmers had greatly benefited from the support and guidance offered by the Switzerland-funded Kalam integrated development project and farmers but communication problems are diminishing its impact now. Tor Gul, another potato farmer from Miandam Swat, said the seeds-production ratio for potato was up to 1:10. “It means that one sac of potato seeds weighing 90kg produces about 900kg of potato and even beyond. And, an acre of potato crop yields around 360 maunds (14MT) in Swat,” he said. Going by the current market price, it can fetch up to Rs0.36 million for farmers which is a hefty price by any standard. And in the international market it could fetch $7000 or Rs0.59mn (on the basis of price of $500 per metric ton). To fetch good price, the farmers in some areas like Miandam harvest their crop before maturity. But it too has its related problems. “The potatoes so harvested are small, decay quickly and hence needs to be used within weeks but nevertheless they provide us good returns. The more there is delay, the lesser is the price at the market,” says Tor Gul. “The combination of inadequate storage and processing facilities and middlemen manoeuvres lead to volatility in prices as not all excess production can be stored or processed for consumption during the off season. Sometimes there is surplus production and supply that crashes prices at the market hitting the farmers and then there is limited supply that hits the common man with price increase. This can be avoided by bulk storage facility, regulated marketing system and efficient delivery of potato in the market,” Bakht Biland Khan, another farmer, said. Khyber Pakhtunkhwa in general and Swat in particular has not been able to exploit the potato potential. Escalated cost of production, non-availability of quality potato seeds, poor post-harvest handling and lack of value addition and of modern plants of potato by-products in the province are hindering the process. Besides, limited grading and labelling of produce, the absence of regulated local potato purchase centres, potato export facilitation centres and market information system are the other woes of potato growers. Despite being tax-free zone and hub of industries, the lack of potato processing units, one that could produce potato chips or frozen French fries, is amazing to the say the least. A multinational company, according to a report, had agreed to install a potato chips unit in Swat but the facility is no where seen thus far. Despite having favourable climatic conditions for all the three potato crops, Khyber Pakhtunkhwa has meagre share in country-wide potato yield. It yielded about 0.12 million tons from 10 thousand hectares in 2010 against 3.4 million tons from 149,000 hectares in the country. Main potato producing areas in KP are Nowshera, Dir, Mansehra, Upper Swat, Chitral and Mardan. Potato crop is sown both in summer and winter in Swat. Seeds in obtained from Punjab. An estimated 20% of potato quality is wasted post harvest primarily due to improper handling and lack of proper cold storage facilities. A survey report by a foreign agency has estimated that about 10 percent reduction in post-harvest losses means savings of Rs6 billion. Potato has large potential for the province and the country. Potatoes are sold at around $500 per metric ton in the global market. Despite having potential of exports worth $1bn, Pakistan’s total potato exports were just $50 million in 2009. The lack of credit facilities are one of the main problems for small farmers. In some areas of Chitral this year, potato farmers were reportedly unable to buy standardised seed from the market for the banks denied or delayed credit facility to them. The provincial horticulture policy says nonexistence of producers and marketing associations and market committees, non-exploration of new markets, and traditional outdated delivery systems of horticulture produce as the biggest constraints of the sector. It recommends setting up of agriculture producers markets and market information systems at the district level and urges for quality grades for vegetables and to establish training institute for productivity and quality enhancement with funding from the export development fund. The government should provide tax holidays for the first five years to encourage processing industries and ensure launch of specials schemes for development of modern horticulture enterprises in private sector in the province. ONLY about 20 per cent of farmers in Khyber Pukhtunkhwa use modern technology in agriculture. This is because either most of them have no money, or if some of them have, they are ignorant and not inclined to use it. The agriculture extension services staff has not made growers aware of the advantages of the modern farming technology or motivated them to use it. Agriculture worldwide has undergone tremendous developments and various technologies are used for ploughing, sowing, harvesting and packing crops. But most of our local farmers are still stuck to traditional ways of agriculture, resulting in low yields, wastage of assets like water and 30-40 per cent loss of farm-produce. Farmers either reject or adopt innovations on the basis of their awareness, interest, experience, product cost and their financial position. They are usually too conservative, ignorant and poor to adopt new technologies and strategies, but once the utility of the system is established, they quickly adopt it. But it requires expertise, profuse contacts and sufficient strength of extension personnel, which unfortunately are lacking. Instead of following a proactive approach in its interaction with growers, the agriculture extension officials primarily wait for them to come to it with their problems to get them solved. One wonders why this can’t be the other way round i.e. the directorate staff reaches the farmers at their doorsteps to do the required job. “Agricultural extension department is mandated to provide research technology to farmers, convey growers’ feedback to agricultural researchers and keeps them abreast of the field problems for further improvement in their research work. It is supposed to contact and train farmers, check sale of fake fertiliser and pesticides, collect data and prepare reports on crops and extension materials for farmers, supporting donors and dealers. But the extension directorate has given up these functions. Its officials now seldom visit fields and farmers. There is no interaction and liaison with farmers to know their problems and needs,” said Haji Niamat Shah, vice-president of Anjuman-i- Kashtkaran, Khyber Pakhtunkhwa. According to him, till the recent past, officers regularly visited farmers and fields. There were daily farmer-specific radio and TV programmes, agriculture extension shows and melas and film shows at village levels, and spraying and pruning of orchards by extension officials. Fruit plants were also provided to farmers but there is nothing of this sort these days,” he complains. The extension service has suffered both from insufficient capacity and commitment as well as paucity of staff. Out of 2,654 personnel of the department in 2004, there were only 38 technical officials while field staff numbered 2,129 who had to cater to the agriculture needs of around 1.4mn farms in the province. When an official had to attend 527 farmers on an average, how could extension duties like making frequent contacts with farmers and checking of pesticides and fertiliser dealers for quality be satisfactorily carried out? Though there is no direct evaluation of the extension impact – it is indirectly judged from crop yields and cash returns to farmers etc.. There is no authentic data to show as to whether high prices of farm produce have benefited growers more or the middlemen and commission agents? In 2007-08, model farm services centres were developed for extension purposes but these bodies are now dormant in most of the districts. There is no separate statutory law to govern its functions under which they could be registered. The department needs to invest on strengthening its information technology section as its website is not updated and still displays figures of 2006 on achievements of agriculture extension services. The lack of service structure and chances for promotion is discouraging new talent to join the directorate and the existing ones are also leaving their services. There is a need to establish genuine farmers organisations at village level as community participation is generally better at micro level. The government and private sector should establish agricultural machinery pools and inputs centres at villages where farmers could get these things and also guidance on subsidised or deferred payment. Agriculture development in the Khyber Pakhtunkhwa, besides other problems, is also suffering from weak agriculture extension system that has hindered mechanised farming and perpetuated low per acre yield -607kgs as against the national average of 1040kg per acre. The work of the directorate general of agriculture extension -to disseminate latest agriculture technology and techniques to farmers- is made difficult by apparently scant commitment of the former and the latter’s inability or disinclination to modernise their farming. The challenge facing the extension department is two-pronged: One, to make the research scientists to develop new varieties and techniques; two, how that is to be made available to farmers and to motivate them to use it. Newly discovered agriculture technologies and techniques come to nothing if these aren’t promptly transferred to farmers -the end users. Agriculture worldwide has undergone tremendous developments and various technologies are used for ploughing, sowing, harvesting and packing the crops but most of the local farmers still use the old-fashioned ways of agriculture resulting in low yields, wastage of agriculture assets like water, around 30-40 per cent loss of on farm-produce and therefore less incomes for them. Only about 20 per cent farmers use modern agriculture technology. This is because either most have no money to buy and, if they have one, no knowledge or inclination to use the modern farming techniques and services as extension staff fails to motivate them. Farmers either reject or adopt the innovations on the basis of their awareness, interest, experience, the cost of the product and their own financial position. Though farmers are usually too conservative, ignorant and poor to adopt new technologies and strategies but once their utility is established, they quickly adopt it. But it requires expertise, profuse contacts and sufficient strength of extension personnel, which unfortunately are lacking. The current extension service does not suit the requirements of modern age and has weaknesses both in structure as well as methodology: poor use of electronic and print media for transmission of messages, lack of expertise of front-line extension workers, scanty staff strength and thus poor mobility, resource constraints and inadequate opportunities for training and national and international exposure for farmers and officials, and weak linkages between line departments and farmers and educational institutions, and so on. Rather than following a proactive approach in its interaction with growers, the agriculture extension primarily waits for them to come to it with their problems to get them solved. One wonders why this can’t be the other way round i.e. the directorate reaches to farmers at their doorsteps itself rather than the former case. Small farmers have limited access to extension officials and they lack resources, courage and urgency to approach the research and extension systems and are kept from technology adoption their poverty and ignorance. With agriculture having been mostly left to the provinces under the 18th amendment, there can be no better time for major overhauling of the extension system to ensure more efficient extension. This obviously requires substantial increase in resources for the directorate and renewed commitment on part of its staff. “Agricultural extension is mandated to provide research technology to farmers, conveys farmers’ feedback to agricultural researchers and keeps them abreast of field problems for further improvement of their research work. It is supposed to contact and train farmers, check the sale of fake fertiliser and pesticides, collect data and prepare reports on crops and extension materials for farmers, supporting donors and dealers. But extension directorate has given up these functions. Its officers and officials now seldom visit fields and farmers. There is no interaction and liaison with farmers to know their problems and needs,” said Haji Niamat Shah, the vice president of Anjumani Kashtkaran Khyber Pakhtunkhwa. According to him, till the recent past, officers would regularly visit farmers and fields. There were daily farmer-specific radio and TV programmes, agriculture extension shows and melas and film shows at village levels, and orchards and spraying and pruning of orchards by extension officials and fruit plants provided to farmers but there is nothing of the sort these days,” he argued. Extension has suffered both from insufficient capacity and commitment as well as paucity of staff. The extension personnel mostly lack the requisite communication skills and don’t utilise print and electronic media and other resources like mobile, telephone or internet profusely for the purpose. For example, the directorate, apparently, has not made any special effort to identify and project the areas where foreign donor assistance or large scale public or private sector is direly needed. It is not surprising then that in the agriculture sector there is no foreign funded project in the budget. And it is understandable that most of the farmers still don’t know how and why soil testing is essential and beneficial, what to think of utilising this and other new discoveries for their advantage. And out of 2654 personnel of the department in 2004, there were only 38 technical officials while field staff numbered 2129 who have to cater to the agriculture needs of around 1.4mn farms in the province. When an official had to attend 527 farmers on average, how can extension duties like making frequent contacts with farmers and checking of pesticides and fertiliser dealers for quality can be satisfactorily done? Though there is no direct evaluation of the extension impact -it is indirectly judged from crop yields and cash returns to the farmers etc., there is however no authentic data available to show as to whether high prices of agriculture produce have benefited farmers more or the middlemen and commission agents? In 2007-08, model farm services centres were enthusiastically developed for extension purposes but the bodies were neglected afterwards and these are now dormant in most of the districts. These bodies still have no separate statutory laws to govern its functions and under which it could be registered. Female farmers would happily attend trainings and receive inputs and services if these are arranged through female extension workers. Acknowledging the failure of the extension system, the government rightly intends to revive the erstwhile outreach directorate in the province. The sooner this is done, the better. There is a need to establish but genuine farmers organizations at village level as community participation is generally better at micro level. Close partnership between the public extension system and the work of participatory NGOs will surely maximize coverage to the farmers. An agricultural T.V. Channel can be opened to corroborate the efforts of the research and extension system in transfer of technologies to the farming community. There are two separate extension departments for agriculture and livestock which is unwarranted since it is costly and expose farmers to frequent visits of narrow specialists. Instead, there should be multi-commodity focused extension where different technical specialists may offer advice to farmers at their doorstep simultaneously. GROWERS in Khyber Pakhtunkhwa complain of low prices offered by tobacco companies and the unmerited grading of their crop. At present, 200-250kg of barn-cured tobacco of different grades fetches around Rs30,000-35,000 which is much lower than warranted by the escalating cost of production, says a Swabi farmer Abdur Razzaq. Tobacco, as per law, is the only cash crop whose weighted average price (Wap) must increase by a certain ratio each year. “Though prices are supposed to be fixed in ‘consultation’ with farmers taking into account the cost of production and other factors, tobacco companies use their clout to fix prices of their own choice. They usually try to buy double the quantity of their annual purchase targets at the lowest possible price,” he said. This season, as per assessment of tobacco growers, the average cost of production stood at Rs167 per kg. “The Wap should have been fixed at Rs200 per kg to benefit the growers, but buyers are offering between Rs125-78 per kg for different grades of recommended varieties and Rs104-95 per kg for non-recommended varieties. This shows how unrealistic is the price fixed by the Pakistan Tobacco Board (PTB). The shrinking profit margin has particularly hit the small farmers,” he said. Last year the companies had purchased tobacco from growers at Rs103-105 per kg against the Wap of Rs98 fixed by the PTB. “Tobacco companies earn huge profit as, according to an estimate, they prepare over 1,000 cigarettes per kg of tobacco. The influential firms are working as a cartel to increase their margins. But farmers are suffering for lack of cooperation and ignorance,” he said. Had the companies not agreed to purchase the harvested non-recommended tobacco variety, called Swati locally, at the average support price of Rs104.30 per kg for the year, around 40 million kg of this variety would have no buyers and that would have exposed around 80 per cent farmers –that grow Swati in Mardan, Swabi and Charsadda – to huge financial losses. But thanks to the farmers’ efforts that the appalling scenario has been averted,” he said. Until recently, these companies were urging farmers to grow the Swati variety and why private buyers are taking it” he asked. He said farmers were also unhappy over the deliberate and unfair down-grading of their tobacco. “The companies sort out the best leaves and reject the rest which is eventually purchased by private buyers. The importance of grading can be judged from the fact that for the top eight grades of recommended tobacco varieties, the average maximum and minimum prices per kg in descending order are between Rs125 and Rs107, Rs123-105, Rs119-103, Rs115-101, Rs105-94, Rs100-92, Rs90-83 and Rs82-78,” Asfandyar said. As per the law (MLO No.487) and their written agreements with farmers, tobacco companies are to be fined if they fail to purchase the entire tobacco crop from growers but they often delay procurement or abruptly end purchasing the commodity. run from pillar to post to sell their ‘sub-standard’ tobacco on low prices to private buyers who seem to be the agents of these companies,” he added. Tobacco companies and the PTB each year warn farmers not to cultivate the non-recommended varieties as these won’t be purchased by them, but only 10-20 per cent farmers cultivate the recommended high-yielding varieties of Speight G28, K399, RGH4 and TM 2008 and the other 80 per cent go for the Swati variety. This could either be due to their ignorance or the urge for better profit on part of the farmers. Tobacco employs over three million persons directly or indirectly, contributes billions to national exchequer in taxes and saves billions likely to be spent on imports of cigarettes besides earning millions of dollars in exports. KP produces between 65-85 million kg of tobacco but the output can be enhanced to 300 m/kg per year. With a possible production of 300 million kg, Khyber Pukhtoonkwa can earn $537mn annually from tobacco export. But the potential has yet to be realised. “KP grows about 98 per cent of Virginia tobacco but its membership in the PTB is equal to that of Punjab. It should be given representation proportionate to its output,” he added. Following is the text of the article I had sent to Dawn. Tobacco farmers in Khyber Pakhtunkhwa are disappointed over low tobacco prices offered by tobacco companies as well as what they call unmerited grading of their tobacco crop. At present rate of tobacco, an average barn comprising around 200-250kg of different grades of tobacco fetches the farmers only around Rs30-35 thousand which is much less than warranted on the back of escalated cost of production, Abdur Razzaq, a farmer from Swabi, said. He said per kilogram cost of production for tobacco this season stood at Rs167 as per their assessment. “The Wap should have been fixed Rs200 per kg to benefit the growers, but companies are offering farmers between Rs125-78 per kg for different grades of recommended varieties and between Rs104- 95 per kg for non-recommended ones. The shrinking of profit margin has particularly hit the small farmers.” he added. Tobacco, as per law, is the only cash crop whose weighted average price (Wap) must increase by a certain ratio each year but farmers have been traditionally denied good returns for their crop. “Though theoretically tobacco prices are fixed in ‘consultation’ with farmers after different surveys and taking into account the cost of production and other factors, tobacco companies using their clout and unity are managing prices of their own choice and benefit. The companies usually purchase double the quantity of their annual purchase targets but at much lesser price than due,’ he said. “Tobacco companies earn huge profit as according to an estimate they prepare over 1000 cigarettes from one kilogram of tobacco. They are united and can manipulate prices that suit them but farmers are suffering for disunity and ignorance in their ranks,” he added. “That tobacco companies are offering up to Rs125 against the WAP of Rs104 speaks volumes of how unrealistic the price fixed by the Pakistan tobacco board (Ptb) is. Last year they had purchased tobacco from growers at Rs103-Rs105 per kilogram against the Wap of Rs98 fixed by the Ptb,” he said. According to him, had the tobacco companies not finally agreed to purchase the harvested non-recommended tobacco variety, called Swati, at the average support price of Rs104.30 per kg for the year, around 40mn kg of this variety would have no buyers and that would have deprived around 80 per cent farmers –that grow Swati in Mardan, Swabi and Charsadda- of billions of rupees but thanks to the struggle by farmers, that nightmare has been averted. But the price offered for the variety is still insufficient,” he said. Asfandyar Khan, another farmer, seconded his thoughts. “Farmers have greatly benefited from Swati in that it has increased their output by about 50 per cent, saved them from the problem of grading as almost all of its leaves are of N0.1 quality, made curing facile and brought almost to nil the wastage of leaves during curing, thus increasing their incomes. It is astonishing the companies first refuse to buy and then fixed a meagre price for Swati as until very recently, it were these companies that had urged farmers to grow the variety. If it has bad quality and taste, then why the private buyers are offering up to Rs128 per kg for it and asking the growers to bring as much as they can,” he said. Asfandyar said as per the law (MLO No.487) and their written agreements with farmers, tobacco companies are to be fined if they failed to purchase the entire tobacco crop from growers but they often delay procurement or abruptly end purchase of the commodity. Tobacco companies and PTB each year warn farmers not to cultivate the non-recommended tobacco types as these won’t be bought but only about 10-20 per cent farmers cultivate the recommended varieties of Speight G28, K399, RGH4 and TM 2008 and the other 80 per cent go for the Swati variety. What could the farmers be expected to do if the latter has great profit for them. Importance of tobacco cannot be denied as it employs over three million persons directly or indirectly, contributes dozens of billions to national exchequer in different taxes and saves billions likely to be spent on imports of cigarettes besides earning millions in exports. KP produces between 65-85 million-kg though it can produce up to 300 m/kg per year. With a possible production of 300 million kg, Khyber Pukhtoonkwa can earn $537mn or Rs45bn annually from the export of tobacco, but the potential has not been realised. India`s exported the country`s surplus yield to 80 countries and earned Rs130 billion annually. Agriculture sector in Khyber Pakhtunkhwa has once again failed to elicit enough funds and attention from the provincial government in the budget. Contrary to official claims that the new budget would be innovative in its outlook, an analysis of the annual strategy shows that it is yet another exercise characterised by meagre funding, phased allocation of funds that delays completion of projects for years and with overstretched plan of action that has no or negligible results. Agriculture sector, which accounts to 25 percent of provincial gross domestic product and on which the livelihood of around 70 percent of its population depends directly or indirectly, requires an out of box solution, sufficient funds and their en-bloc release, and most of all commitment of provincial authorities whose indifference could be devastating for the sector after the 18th amendment. The Chief Planning Officer of ministry of agriculture, Ahmad Said, informs agriculture Annual Development Programme (ADP) for 2011-12 has been prepared in the light of provincial agriculture policy 2005, horticulture policy 2009, and reconstruction priorities. The total outlay of ADP has been increased by 15 percent from Rs69bn to Rs85bn. Allocation to agriculture and its related sectors has been increased from Rs1.175bn in the outgoing fiscal to Rs1.355bn for new fiscal but its share has decreased from 1.70 percent to 1.59 percent as percentage to the ADP. The ADP has 71 projects, including Rs0.849bn for 47 on-going and Rs0.505bn for 24 new schemes. The whitepaper 2011-12, issued by the provincial finance department recently, says this year’s provincial ADP reflects higher priority to income generating sectors of economy, including agriculture. “Agriculture can easily attain the status of big industry in the province if proper care and patronage is given to it,” it argues. For example, for five old and new schemes of agriculture mechanisation requiring Rs855mn, only Rs164mn are allocated. And for 37 old and new schemes in agriculture research that required Rs1040mn, only Rs243 have been earmarked for the coming year. Similarly, agriculture planning schemes have been provided only Rs21mn out of the total required Rs640mn. For project distribution of cultivable land amongst landless farmers and agriculture graduates, which has a total outlay of Rs200mn, only Rs10mn have been allotted to the year, which means it will take years for the project to complete and benefit the farmers. Again, only Rs1mn have been set aside for rehabilitation of germ-plasma units in Hazara division that involves Rs10mn in all. And for the establishment of the olive orchards in wasteland, another good intervention, only Rs10mn out of the total Rs60mn have been approved for the year. Similarly, for a 2008 project of strengthening of planning and monitoring capacity of the agriculture department involving Rs15, only Rs3mn have been allotted while Rs5mn had been spent on the project. Can there be any better proof for half-hearted measures on the part of the government? According to an official document, in the outgoing year, out of the total core ADP estimates of Rs69 billion, Rs45bn were released but actual expenditure stood at only Rs26bn. For the agriculture sector, over Rs1.22bn were released against the budget estimates of Rs1.175bn but only Rs0.67bn of these could be spent till 20th May, 2011. Viewed in this backdrop, the amount to be spent on agriculture may be much less than allocated in the ADP. In the new ADP, there are 39 foreign-funded projects worth over Rs16bn but the agriculture sector has no projects in it like the outgoing fiscal. The government should have arranged research and development projects with the help of foreign donors to give a fillip to the under-performing sector. Last year, the KP government had announced revival of cooperative bank and promised to provide Rs1 billion seed money for easy farm and non-farm loans to small farmers and rural women from the bank but actually onlyRs200mn were released. This year too, Rs400mn will be released. How can credit ratio be improved in this situation? “The main problem confronting farmers is their poverty and costliness of agricultural inputs but there is no scheme to address the problem. The government should have announced an agriculture subsidy regime on its own or with the help of foreign donors,” says Haji Niamat Shah, a farmer. Despite these shortcomings, the annual agriculture roadmap of Khyber Pakhtunkhwa is comprehensive and has something for each sub-sector. According to Ahmad Said, lands that were washed away by floods would be rehabilitated and orchards would be established anew through free plants provision. “Another project for improving quality and increasing production of fruit plants through tissue culture technology has also been proposed. 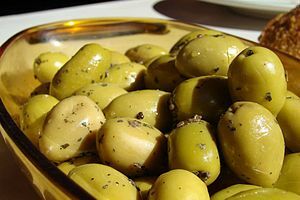 A public-private joint scheme for olive cultivation in areas where ordinary crops cannot be grown is being launched,” he adds. Subsidized inputs availability, weak coordination between farmers and government and wastage of on farm produce have gone unaddressed. WOMEN are deeply involved in agriculture and livestock sectors in Khyber Pakhtunkhwa. They, however, remain deprived of access to extension services, financial empowerment and capacity-building while no facility is offered to them for training, input/services and livestock progeny. The provincial agriculture policy 2005 and horticulture policy 2009 acknowledge that the absence of gender mainstreaming and participation, hinder the growth and development of the sector, making it less profitable for farmers, especially the poor/small growers. While the provincial government has now acknowledged the need for empowering of women, its efforts in this direction are too feeble to make any significant impact. In this year’s budget, a project for livelihood improvement through strengthening of gender-based livestock interventions with an outlay of Rs300 million has been launched in the province. Through this project, female livestock farmers would be provided training for rearing animal offspring and hens to help improve their skills and decision-making capacity. But only Rs15 million has been earmarked this year for disbursement for the project. Another project worth Rs46 million is to be launched in Mardan which aims at alleviation of poverty among rural women by providing them with high calibre hens for rearing in their houses. This project will promote model poultry farms and would improve supply of poultry and its byproducts to the market. Apart from carrying out household jobs, women also work in field preparation, cultivation, fodder cutting, weeding, drying/storing of cereals, fodder and harvesting crops and vegetables. According to a survey carried out in five districts of KP, 82 per cent of the rural women took part in agriculture activities, spent 45 per cent of their time in fields which accounted for 25 per cent of production of major crops and 30 per cent of total food. Around 35 per cent of rural women rear livestock and are responsible for 60 to 80 per cent of feeding and milking of cattle. Over 90 per cent of rural women keep poultry birds at home. However, they mostly apply traditional methods of rearing, breeding and management of livestock. New concepts such as tunnel farming, modern household farming, tissue culture technology and modern animal husbandry techniques need to be used to increase production and encourage efficiency. With expert guidance and technical, financial and marketing support provided to female farmers, agriculture would develop by leaps and bounds. Rural women in the province have no separate agricultural extension services. Living in a backward region, female farmers would willingly attend trainings if these are arranged through female extension workers. Female veterinary graduates could be appointed for curing livestock owned by female farmers in rural areas. They can also be provided support for opening biogas plants to cater to their domestic fuel needs that consume plenty of their incomes though other altrenatives. The government and NGOs could empower women farmers and involve them in agriculture development by setting up a provincial body of women farmers. The membership of female farmers in model farm services centres needs to be increased. Female farmers were part of only one MFSC in Haripur which had only 70 female farmers in the total strength of 1,600 farmers in 2009. But with the present meagre funding, any significant progress for agriculture in the province remains a remote possibility. The share of agriculture as percentage of the provincial annual development plan has come down to 1.59 this fiscal year from 1.70 per cent in the last fiscal. In a situation where only six per cent of the farmers in the province receive agriculture credit, the share of female farmers would be even more pathetic. The government needs to support agriculture financing by public and private sector banks to offer easy farm and non-farm loans to female farmers. Swat accounts for 3/4th of the onion harvest of the province. Malakand division, especially Swat and Dir, produced about 108,000 tons of onion in 2006. Farmers say regulated markets, local onion purchase centres, improved transportation of the produce to other provinces and export facilitation centres are needed to help them get fair price for their crop. Swat onions are liked for their big size, appetising taste and better quality, but farmers say the middlemen and commission agents are taking bulk of the profit. Lower prices have compelled farmers to delay their harvest and sales in the hope of better return. While a few of them can afford to keep their harvest in self-owned or rented godowns, most dump onion in their fields in the open. In Swat and Dir, one can see a lot of these onion-dumps in fields, hujras and in front of houses. A hailstorm or rain and humidity could damage the harvested crop. “The commission agents in Gujranwala promise us good returns and say a bag fetches Rs900-1100. But when we reach there, we find the price at Rs600 per bag. A truckload of 200 bags of onion can fetch up to Rs120,000 while our total expenses on the same quantity of onion comes to around Rs150,000,” says Daud Khan, a farmer near Mingora in lower Swat. The onion price, he says, is not sufficient even to cover his expenses on cultivation, farm-rent and transportation etc. “I have taken land on lease for Rs0.3 million per annum from a local landlord, and spent another Rs0.11mn on labour and other inputs on the crop. An amount of Rs50,000 per trip have been spent on transportation and other expenses. I will have to make at least six trips so the total amount in this head alone comes to around Rs0.3 million. My total onion production comes to around 1,200 bags each weighing 90kg. It means I will earn not more than Rs0.72 million at the present market price. This is exactly what I have spent on the crop. There is no profit for me despite toiling for months. How can I sell my crop at this rate,” he said. “The problem is that we cannot delay our harvesting and deals for long as the field and truck are to be emptied for new crops and to avoid inflated trucks fares which increases if offloading is delayed. Then there is the problem of security and rent in the market. Rains also are a constant threat as the commodity lies in the open which could be destroyed by ground moisture or insects. So the farmers have to sell their produce willy-nilly at lower rates,” he adds. “Isn’t it unjust that the farmers are being paid only Rs6 per kg while the commodity is being sold at not less than Rs30-40kg in the market? Shouldn’t the government stop this injustice by commission agents and ensure a better price for farmers,” adds Khan. “The government says it will create linkage between market and Swat farmers but has failed to ensure fair price for our produce. Agriculture in the region has been badly affected first by militancy and then by flash-floods but local farmers are yet to be given proper support,” he complains. The provincial horticulture policy 2009 recommends setting up of agriculture producers’ markets and market information systems at district level. Local farmers are compelled to take their onion to Punjab to get better prices. The problem can be solved by establishing regulated local markets and opening onion purchase centres in different parts of upper and lower Swat and Dir in the public, private sector or through public-private partnership. Transportation of onion could be facilitated by arranging special goods-train from Dargai in Malakand where existing railway lines mostly lie unused. Onion farmers would benefit if some waterproof packaging is introduced to minimise crop losses and facilitate export. THE onion farmers in Swat are not getting reasonable returns for their crop due to absence of a modern market system in the province. 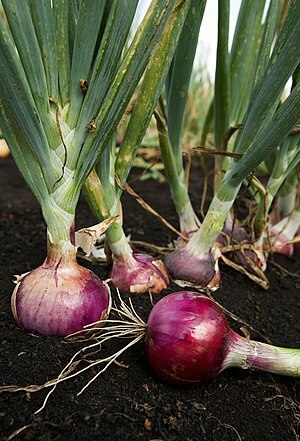 Despite a bumper onion crop this year, they have not fully benefited from the harvest. A Rs60 million project for planting olive trees in Khyber Pakhtunkhwa has been proposed in the provincial development strategy. “The project is based on public-private partnership. The agriculture department will provide certified olive saplings, technology and guidance to farmers while the orchard owners would provide land and labour. We have signed MOUs under which farmers would give a certain portion of their olive plants to the government for extension purposes,” said Ahmad Said, the chief planning officer in the provincial agriculture department. The project is for lands on which major food crops are not grown. Olive is a strong plant that needs little water and fertiliser and can be grown anywhere, even in mountainous areas,” he added. Ahmad says around 60 per cent area of KP was suitable for olive cultivation. If we could utilise even 20 per cent of it by planting new olive plants, it will reduce oil import bill besides increasing the incomes of millions of farmers and providing them with healthy oil for domestic consumption. “We are trying to standardise the olive production technology as has been done in Italy which is growing millions of olive plants in a very short time. We have proposed another project for tissue culture technology through which plants can be grown in shortest possible time. The existing mechanism of fruit cultivation and fructification takes years. The tissue technology can produce millions of plants and ensure fruit-bearing sooner than usually possible,” he informed. “While the public sector is trying its best to provide maximum certified olive plants to growers, we are facilitating and registering plant nurseries in the private sector. These nurseries will be regularly monitored to ensure quality of production of the fruit plantlets. We hope this way the use of non-fruit bearing olive plants would be minimised,” he added. With only Rs10 million out of the total earmarked sum of Rs60 million have been allocated for the project in the next year’s ADP, it may take another five to six years for the project to be completed unless fund allocations are enhanced later. Pakistan faces a widening gap between edible oil requirements and domestic production which is bridged by huge imports of edible oil and oilseeds. Over 60 per cent of the tribal belt has wild olive trees that can be converted into fruit-bearing species. 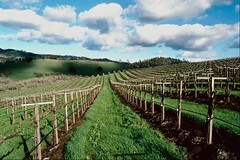 According to an Italian expert Raffaele Del Cima, the province has over 444,574 hectares of cultivable wasteland which is suitable for olive cultivation. According to another estimate, well over 880,000 hectares could be used for olive cultivation. There are an estimated 31 million wild olive trees in KP and tribal belt that bear no or a seed-sized fruit. Converting them into European type fruit bearing olive through budding/grafting procedure in the next few years should be the foremost priority of the government as it will help produce an estimated 75,000 tons of olive oil. The Pakistan Oilseeds Development Board has recently converted some wild olive plants in KP into fruit bearing trees. Italy, the world’s biggest olive producer with 1.2 million hectares under olive cultivation, has helped Pakistan to convert its wild olive plants into fruit-bearers, and also with new olive plantations. The government and private sector need to cooperate for improving cultivation and harvest techniques in olive production, species selection, nursery management, oil analysis and the operation of oil extraction units. By providing quality seed, modern training and marketing mechanism to the farmers, olive cultivation and yield could be considerably increased. The government may also encourage farmers to set up olive oil extraction units in different parts of the province. Officials had claimed that next year`s agriculture budget of the Khyber Pakhtunkhwa would be innovative, allocate sufficient funds and offer out-of-box solutions. But an analysis of the annual development programme shows it to be `business as usual`. The overall meagre size of the ADP for the sector coupled with small apportionment of funds for various schemes shows it is a new budget with the old approach. It is characterised by meagre funding and staggered allocation of funds that delays completion of the projects for years. It is an overstretched plan of action that has negligible results at the end of the day. The sector needs strong commitment of the authorities because the livelihood of around 70 per cent population of the province depends on it directly or indirectly. The annual strategy aims at doing much with the little amount made available. With en bloc allocation to projects becoming impossible, delays in completion of projects become inevitable. For example, for the project for distribution of cultivable land amongst landless farmers and agriculture graduates, which has a total outlay of Rs200 million, only Rs10 million has been earmarked for the next year. It will take years for the project to complete. Again, only Rs1 million have been set aside for the Rs10 million rehabilitation of germ-plasma unit in Hazara division. And for development of olive orchards in wasteland, another good intervention, only Rs10m out of the total outlay of Rs60m have been approved for the year. For new schemes worth Rs716m in the agriculture research, only Rs109m have been provided. Achai conservation and development programme estimated to cost Rs222m gets a meagre Rs42m. While Rs141 had been spent on it in the last fiscal, why the remaining amount is not allocated to complete the vital project? The ADP addresses only marginally most of the serious problems like outdated farming techniques, inefficient extension and research outfits, low per hectare yield, lack of value addition, wastage of produce, shortage of irrigation water and the like. The annual roadmap for agriculture for 2011-12 has been prepared in the light of provincial agriculture policy 2005, horticulture policy 2009 and the floods reconstruction priorities, a senior official said. The agriculture budget has 71 projects including Rs849m for 47 ongoing and Rs505m for 24 new schemes. The allocation to agriculture and its allied sectors has been increased from Rs1.175bn in the outgoing year to Rs1.355bn for new fiscal but its share has fallen from 1.70 per cent to 1.59 per cent of the overall ADP. The livestock sector, for the first time, has been allocated Rs0.60bn or 44 per cent of the agriculture budget. According to the province`s white paper 2011-12, this year`s budgetary allocations reflect higher priority to income generating sectors of the economy, including agriculture. Agriculture can easily attain the status of big industry in the province if proper care and patronage is given to it, says the white paper. To ensure efficient implementation and timely completion of the schemes the present strategy of spreading out resources too thin delays projects with cost over-runs. In the agriculture sector, only six of the 84 projects were completed in 2010-11. And the problem of low utilisation of funds is another pressing problem that hinders timely completion of projects. According to the white paper, in the preceding year, out of the total budget ADP estimates of Rs69 billion, Rs45bn were released but actual expenditure stood at only Rs26bn. For the agriculture sector, over Rs1.22bn were released against the budget estimates of Rs1.175bn but only Rs0.67bn could be spent till May 2011. Viewed in this backdrop, the amount to be spent on agriculture may be much less than allocated in the ADP. The size of foreign assistance in the new ADP is over Rs16bn for 39 projects but there is no project for the agriculture sector in it like the previous year. Only six per cent farmers in the province have access to agriculture credit. Last year, the government had announced revival of cooperative bank which was to provide Rs1 billion seed money for easy farm and non-farm loans to small farmers and rural women but actually only Rs200m was released. Notwithstanding these drawbacks, the annual roadmap of Khyber Pakhtunkhwa has something for each agriculture sub-sector: agriculture extension schemes (Rs0.11bn), agriculture mechanisation (Rs0.16bn), on farm water management (Rs0.15bn) agriculture research (Rs0.24bn), livestock extension (Rs0.24bn), agriculture planning (Rs0.02bn), livestock research (Rs0.27bn) and soil conservation schemes Rs0.05bn. Besides these, projects for backyard farming and livestock rearing, value addition of fruits and vegetables, rehabilitation of flood disaster lands with plantation of new fruit orchards, olive cultivation initiative, poverty alleviation through improved rural poultry production and conservation of the Achai cattle breeds have been proposed. Furthermore, a project on micro-propagation/tissue culture has also been proposed to produce millions of plants sooner than routinely possible. THE majority of farmers in Khyber Paktunkhwa is using the age-old technique — a pair of bullocks — for ploughing its fields, instead of tractors. Only about 20 per cent farmers use modern agriculture technology in the province. This is because either most of them have no resources to buy the services or have no knowledge or inclination to use the modern farming techniques. Agriculture worldwide has undergone tremendous transformation and latest technologies are used for ploughing fields and sowing, harvesting and crop packing but KP farmers, especially the majority poor/small ones, still continue with outdated ways, resulting in low crop yields, and wastage of agriculture assets like water and low incomes. Farmers usually don’t benefit from provincial government’s research endeavours and innovative technology for lack of coordination between the line departments, and the growers and the line departments. A senior official in the Agriculture Department agrees that problems such as lack of mechanised farming, low per acre yield, inputs availability constraints etc., are also suffering from weak agriculture extension for lack of coordination between farmers and the government. “Our researchers need to develop seeds varieties for the different climatic zones in the province that could increase both under-cultivation land and production. But there are two challenges in this connection. One is for the research scientists to develop new varieties and techniques and the second is how that is to be made available to farmers so that they could use them,” he said. “Even if researchers fulfil their responsibilities but their products are not available to farmers or they are not inclined to use them, the problem will remain unresolved. Extension department needs to make latest research and development products and farming techniques available to farmers as soon as possible,” he added. “It is strange the farmers still prefer outdating farming techniques that result in poor per acre yield and therefore the incidence of poverty is increasing amongst small farmers,” he said. Mechanised farming is urgently needed to increase per acre yield but the small landholding is the hurdle. The research directorate in collaboration with local industry could solve this problem by evolving miniature engineering machinery and technology. To facilitate the directorates of agricultural research and agricultural extension in their endeavours to benefit the farmers and to bridge the gap between farmers and research, the government should revive the erstwhile outreach directorate in the ministry of agriculture. The outreach directorate will surely reach out to the farmers with new technologies. It had done pretty good job till 1995 when it was wrapped up. Its revival is necessary to address the critical problem of coordination between farmers and agriculture researchers. The next provincial Annual Development Programme has a new project for strengthening of outreach activities, but meagre allocation is a cause of concern. The project was allocated Rs50 million but only Rs15 would be spent under the ADP. It means there cannot be any meaningful practical changes at least for some years to come. Agriculture cannot be developed in the province by taking half-hearted routine measures. It, instead, requires some innovative, out of box, targeted and emergency plans to develop the sector on which around 70 per cent of provincial population depends. An official informed that the provincial government intended to revive the outreach directorate. “The terms of reference of the directorate have been prepared and necessary allocations have been made in the next budget for this purpose,” he informed. “This would surely expedite services, improve coordination between the stakeholders and bridge the gap between farmers and research thereby facilitating and benefiting the farmers enormously. It will regularly update the policy makers on the requirements of the farmers and will also inform the latter on any invented/imported technology or technique sooner rather than later,” he hoped. Besides the above shortcomings, some other problems are also hampering agriculture development in the province. In the recent past the agriculture extension directorate was being run without a full-time head. Also, there is an acute shortage of research personnel in the directorate. The shortage of senior research officers is particularly serious. “Most of the officers are performing their duties in the same scales for 30 years despite being qualified. In a situation when the officers and officials retire in the same scale they were inducted in and they are paid comparatively far less than their research counterparts in the private sector, it is not strange if most of the existing officials too are opting for retirement, ex-Pakistan leave or leaving their service in search of better future,” conceded the official. The government should offer incentives to attract competent people to the sector and should also announce a service structure and comprehensive relief package for the existing ones to arrest the trend of flight of human capital from the directorate. THE Khyber Pakhtunkhwa government will present its first budget this week after the devolution of the federal agricultural departments to the provinces. The question arises: what difference will it make? Though officials of the provincial agriculture department are confident that their development strategy reflects out of the box thinking, farmers have very little hope that it would be any different from the past. Thy say the traditional approach will prevail. Minister for Agriculture Khyber Pakhtunkhwa Arbab Ayub Jan declined to share any details about the allocations and targets for the next year’s ADP for agriculture but said the budget would be non-conventional in its priorities and plans. “Several new interventions have been proposed. Allocations have been approved for all of the schemes we had suggested. This has been done for the first time and we hope it would help develop farming in the province,” he said. Ahmad Said, Chief Planning Officer of the agriculture department, said “We have suggested various innovative schemes, the details of which, I cannot share as yet. I am hopeful this year’s comprehensive ADP with several innovative steps would ensure expansion and development of agriculture. The special focus is on revival of farming in the 12 flood-hit districts,” he said. Farmers have their own concerns. “The problems are so huge that only a revolutionary ADP, with innovative steps and enormous investments can tackle them. But there is little likelihood that any such plan will be included in the annual agriculture roadmap,” opines Naimat Shah Roghani, a farmers’ leader from Mardan. High prices of various farm inputs have increased cost of production manifold. “The government should extend direct subsidies on the farm inputs like seeds, fertiliser, tractors, power, diesel and tube-wells,” he said. The agriculture sector has received meagre funds in successive ADPs despite its huge significance as the primary source of livelihood for around 70 per cent provincial population. While the allocation for agriculture sector was increased by about 45 per cent this fiscal year over the preceding year, it came down from 2.4 per cent of last year’s core ADP to 1.9 per cent of this year’s total core ADP of Rs58bn. Irrigation budget was 4.3 per cent of the core provincial ADP last year. Though its allocation went up by about 70 per cent, it decreased to about 4.1 per cent of the ADP this fiscal year. Roghani said at least five per cent of the ADP should be allocated for agricultural development, which should be gradually increased to 10 per cent in the coming years. Only about 20 per cent farmers use quality seeds and modern agriculture technology, for which agricultural research, engineering and extension directorates should be strengthened. “For better coordination between the farmers and government and to facilitate the directorates of agricultural research and agricultural extension and to bridge the gap between farmers and research, the government should revive the erstwhile outreach directorate in the department of agriculture,” said Muhammad Khalid, an agronomist from Mardan. “The outreach directorate reached out to the farmers at their doorstep with new farming technologies and improved seed varieties, but became dormant in 1995. Its revival is necessary to address the critical problem of coordination between farmers and agriculture researchers,” he said. “Soil testing laboratories should be opened in all the districts and tehsils. If modern farming technology and techniques are provided to farmers, it will change their farming from subsistence to commercial/modernised one,” he added. KP needs to bring under cultivation about 1.6 million acres of cultivable wasteland. If possible, it should distribute the state-lands at nominal rates amongst landless farmers. This requires water for irrigation which can be met by building small dams for conserving floods/rain water for future use. Wastage of water can be minimised by lining the water-courses and canals and its efficiency increased by adopting the sprinkle and drip irrigation. And fruit orchards could be set up in areas not suitable for food or cash crops. Backyard or household farming can also increase people’s incomes. The government, however, will have to provide seeds of vegetable, fruit plants and animal progeny to the poor households. Tunnel farming technique needs to be extended. For this, the government should provide the technology along with guidance and financial support to the poor farmers. As prices of chemical fertiliser are gradually becoming unaffordable, the government can support the use of green-manure or other organic fertiliser. According to Roghani, access to market and improved marketing is vital for increasing the incomes of farmers. At present these markets function only in two districts. More markets should be set up across the province. Livestock sector continues to be provided with meagre budget. There should be some special programme for the livestock farmers, especially women, who should be given free animal offsprings and poultry initially. Around 60 per cent area of Khyber Pakhtunkhwa is suitable for olive cultivation. If an olive plantation project is launched and farmers get plants and technical support from the government, oil import bill could be reduced. Modern laser technology could be used for land levelling. Mechanised farming is vital to increase per acre yield; for small landholdings, common facilities need to be provided. Khyber Pakhtunkhwa needs more farm credit facilities. It accounted for only 3.4 per cent of the country’s agriculture credit of Rs233bn in 2009. Only six per cent farmers here have access to farm credit against 21 per cent in rest of the country. “Interest on agriculture loans needs to be decreased and its process simplified,” Roghani said. The government and private sector should establish agricultural machinery pools and input centres at villages where farmers could get these things on subsidy and deferred payment, apart from guidance. FARMERS and the private sector have joined hands to cultivate hybrid vegetables and adopt innovative growing techniques to raise crop yield in Khyber Pakhtunkhwa. In Takht Bhai, Mardan, farmers opting for technique of growing hybrid vegetables, see it as a route to their prosperity. On a visit to the area, this scribe witnessed lots of u-shaped stands and scattered open sheds scattered that had been prepared with sticks and plastic wire, cobbled together, to support the structure for hanging vegetables. Taufeeq Ahmad Khan, a local farmer, said the sowing of imported hybrid of bitter gourd called Karail , and not the local variety Karaila , was started three years ago. “Farmers are usually too conservative, often ignorant and also poor to adopt new technologies and strategies but once their utility is established, they adopt them quickly. Seeing financial advantages, more and more farmers are following suit. The private sector guided us to adopt high-yielding variety of bitter gourd,” he said. “It is highly rewarding for farmers as they continue growing vegetables for around nine months. An acre of imported hybrid bitter gourd sown this way earns a farmer around Rs400,000. Besides, vegetable like tomato or fruit like watermelon can also be sown alongside it on the ridges in the field. This can fetch them another Rs200,000,” he added. Gul says local seed of bitter gourd when sown on ridges in the field usually gets destroyed quickly by excess of water, heat, drought and diseases. “Besides it can resist adverse climatic conditions and diseases, being a short duration crop. The local bitter gourd also has negligible income for farmers as compared to hybrid bitter gourd. “ It is also more resistant to diseases and climatic conditions and the vegetable is comparatively healthier,” he said. According to Khan, the method is simple and can be easily adopted by any one. “As Karail had to be kept above the ground to save it from degeneration, one has only to bear a one-time expenditure of around Rs40,000 for building the structure using sticks and plastic wire. The vegetable hangs from it which can be collected easily. This structure can be used for next three to four years if protected. Considering the advantage of this technology, it is a negligible amount which farmers can happily spend to increases their incomes a lot,” he said. 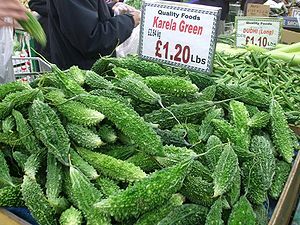 “The second vegetable or fruit grown alongside bitter gourd is of short duration. It continues its output till winter when frost decomposes its roots. But if necessary measures are taken to protect it against chill and moisture, it will continue yielding even in winter,” he added. Adoption of these techniques together with guidance on establishment of market linkages with packaging and processing industries can benefit the farmers. Growers in other areas can take advantage of the experiences of their counterparts. Farmers say the government and private seed dealers can help the farmers by providing them with seeds on deferred payment. Imported hybrid seeds of vegetables are available in the market but the farmers said if hybrid seeds are developed locally and provided to them, it would be better. These will surely be cheaper and easily adaptable to local ecosystem. If local labour and fields can be used by the multinationals to prepare new seed varieties, why can`t we do the same ourselves. 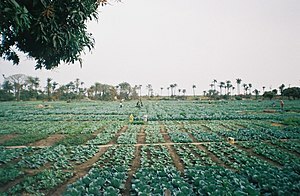 The numerous public seed research farms could be used for developing hybrid seeds for vegetables. The government and private sectors can reduce dependence on import of seeds by developing hybrid varieties for vegetables and fruits themselves. But it will also have to be disseminated to farmers as soon as possible. For this purpose` a pro-active strategy will be needed by the agriculture department to contact farmers at their doorsteps. The province is gifted with diverse climatic and ecological zones which is well suited to all types of vegetables and fruits. About 47,000 hectares produce approximately 0.52 million tons of fruit and 38,000 hectares produce around 0.356 million tons of vegetables. THE next year`s Khyber Pakhtunkhwa budget will mount efforts to facilitate farmers hit by floods and militancy to revive and develop the agricultural economy. An official in the provincial government said the development activities would focus on addressing issues like the low per acre yield, small landholdings, outdated farming, non-availability of inputs and poor coordination between stakeholders etc. Reviving the farming sector that has been severely hit by years of militancy and last year`s floods require short, medium and long-term strategies and funding, he added. “We are suggesting a project worth Rs485m to compensate the farmers affected by the floods. While Rs1-billion Swat Development Package is also on the cards to compensate militancy-inflicted losses,” the official said. Coping with falling acreage under cultivation, revitalisation of the Agriculture Engineering Directorate is being undertaken to prepare more land for tilling. A scheme for buying 40 bulldozers at a cost of Rs600 million has also been proposed. “If the scheme is made part of the annual development programme and implemented, it will help level over 10,000 hectares. We are also intending to introduce laser technology for land-levelling in some areas,” he added. “We want to implement a public-private partnership to develop high-yielding maize seeds at the Cereal Crops Research Institute (CCRI) in Nowshera. “The government plans to develop integrated pest/crop management and soil conservation programmes, but rarely any ADP is fully implemented. The sooner these maladies are addressed the better,” he added. For example, farm services were developed in 2007-08 under the 2005 agriculture policy, but these are now neglected and dormant in most districts. And rather than following a proactive approach to interact with the growers and livestock owners, the agriculture and its attached departments are waiting for them to come to get their problems resolved. One wonders why this can`t be the other way round i.e. the department contacts farmers at their doorsteps. While the public sector provides quite a few important services like soil and seeds testing laboratories, though on a limited scale, most farmers don`t even know about them, what to talk of utilising them for their advantage. About 80 per cent farmers have no access to quality seeds and modern agriculture technology. There are around 13 research stations in Khyber Pakhtunkhwa which have developed several high-yielding seed varieties for various crops but their timely and easy availability has always been a problem. Farmers usually use substandard seeds that result in low yield. “There is still a vast room for better coordination among farmers, seed companies and research centres,” the official said. “There is a need to set up coordination forums to ensure better and speedy communication, feedback and cooperation between growers, private sector and the public sector. These centres should provide farm inputs and financial, technical and educational support to growers in their respective areas. “The government can learn from local and foreign NGOs, especially the Sarhad Rural Support Programme, which have ensured liaison and participation of locals by developing participatory organisations at mohallah, village and union council and other levels. These centres will comprise all stakeholders in agriculture and have store for farm inputs, repair workshop, veterinary hospital, soil testing labs, a branch of agriculture development bank, a multimedia workshop and an insurance company office for crop insurance. Once these coordinating bodies are developed and subsequent regular interaction is maintained, most of the problems faced by farmers and the agriculture sector would be solved. The directorate general of extension in the agriculture department needs to proactively disseminate agriculture technology and services to farmers. The issue of public-private partnership has been focused in the provincial agriculture and horticulture policies but has remained unaddressed in practical terms. “As chemical fertiliser is getting costlier, the government plans to create awareness about organic fertiliser. “We have launched a project for organic farming on trial basis at the Agriculture Research Institute at Tarnab and another project worth Rs12m has been proposed for the ADP this year,” the official added. “Lack of coordination between the government and NGOs has also harmed the farmers. The government and NGOs are supporting farmers hit by floods and militancy but for faulty allotment/distribution, the aid is going to undeserving people keeping the needy deprived. The agriculture and revenue department and the MFSC should be taken on board in the apportionment and supply process. Fake, adulterated and under weight seeds and fertiliser are making things difficult for farmers. Farmers` income could be substantially increased if quality seeds, fertilisers, machinery, pesticides and other services were given to farmers in time and on cheaper rates. Initiatives to improve horticulture output and marketing links of local farmers with local and foreign firms have been launched in Malakand division under the provincial reconstruction, rehabilitation and settlement programme. The area, especially Swat, produces quality vegetables and fruits. It accounts for 34 per cent of plums, 95 per cent of walnuts and 82 per cent of provincial apple yield. It also accounts for 64 and over 50 per cent of the provincial production of vegetables and fruits respectively. But farmers do not fully benefit from their crops for lack of finances, expertise and marketing linkages. Shakil Qadir Khan, Director General of Parrsa, said his organisation was trying to help improve quality and value addition, standardise packaging and create modern marketing practices for the produce. “We are not only providing advice, cash and in kind support to develop quality of indigenous fruits and vegetables but also helping growers find new markets for their products by creating liaison between them and local and multinational companies,” he said. Khan said another $12 million package for agriculture was to be launched soon. “We have also approached various local firms and multinationals for the purchase of Swat apples, peaches, and apricots. If they agree, they are welcome. If they disapprove, we would request them to come and guide local farmers to produce quality fruits acceptable to them. We would provide them financial support for the purpose. The companies can send their experts for development of horticulture. This will be a public-private partnership financed by Parrsa. Norway has expressed its desire to purchase local peaches but the fruit will have to be ISO certified. Apple growers and market men were encouraged to shift to attractive paper-packaging instead wooden crates. The application improved sales tremendously,” Khan said. Citing another intervention, he said, Swat produced approximately 60 tons of trout fish in its 22 farms which was mostly consumed locally. Last July`s floods ravaged most of these hatcheries. “Parrsa plans to provide marketing support to fish hatcheries to sell their produce to big food-chain restaurants both within and without the country. Trout decomposes fast when taken out of water. However, there are means to keep the fish fresh and transport it to farthest areas without fear of decomposition. Using the required technology and giving a new brand name like Swat/Kalam trout to the species in the market, the number of hatcheries in Swat could be increased to 200 in a year`s time,” he hoped. THE supply of sugarcane to mills in Khyber Pakhtunkhwa has picked up following fall in gur prices and improved rates being offered by sugar mills. Gur prices plunged to Rs5,000-5,500 per 80 kg in local markets from Rs6,000-6,500 last month and Rs7,500-8,500 last October. This has prompted farmers to take their crop to millers who are offering better prices these days. The price offered by mills is Rs338 per 50 kg of cane. But farmers Farmani Gul Khan argue that on the basis of recent gur prices this season, it should be around Rs450 for 50kg. Since 2007, gur has been costlier than sugar.But it has lost its place of being the first priority of farmers in the province. For example with a crop of 300 maunds, a farmer will earn around Rs83,000 if he opts for gur, and over Rs100,000 if he takes it to mills, says mill owners. Cane manager at the Premier sugar mills in Mardan Masood Khan says increase price offer has augmented supplies to the mills. “The cane supply situation improved in February and we are crushing around 3,000 tons of cane daily, approaching fast to our peak crushing of 4,000 tons achieved some years ago. We are running the mills non-stop. Gur is our main competitor. If its prices come down, farmers will come to us and vice versa. But for the moment, we are satisfied. Cane supply to mills in Dera Ismail Khan and Charsadda has also improved a lot,” he said. Why do growers often prefer gur making? “The gur agents make advance agreements to farmers, and payments are made for standing crops. They provide seasonal/crop-based loans to growers which are used for buying inputs and meeting their domestic needs. How could farmers sell their cane crop to mills in this situation?” asks Jehangir Khan, a farmer. “The millers, conversely, wait for farmers to bring their crop to the mills which they have already pledged to gur agents against return of advance payments or easy loans. Cane crop is also bought by cane-juice-sellers on advance payments. The millers should make agreements with cane farmers as is done in case of tobacco crop. They should purchase cane crop at fixed and better rates. Why can’t they make advance payments or provide loans to farmers like their competitors at the start of the season?” he asks. Jehangir said farmers at present had to go to mills to get indents for their cane and suggested that it should be the other way round. “They need to reach farmers like their gur competitors. The millers in the past had opened local cane purchase/dumping centres. The farmers would bring their produce to these centres and the millers would pick it from there. This needs to be revived,” he suggests. “Besides a fixed price for certain fixed sugar-content, farmers should get enhanced payment for produce with better sugar-content. This will be an incentive for them,” he maintains. “In Punjab a large quantity of gur, named duplicate is being produced by mixing gur with glucose and other ingredients. It has not only a good look but also tastes better and is cheaper. Around 100kg of duplicate is prepared in an hour. Farmers in Khyber Pakhtunkhwa are also planning to start producing this variety. This means that more and more cane will be used for making gur in future. Millers will have to be more responsive and competitive to avoid this scenario,” Yousaf Shah, another farmer, adds. “Farmers opt for gur making for two other reasons as well. One: they have to feed their livestock with cane-grass which necessitates intermittent cutting of crop as allowed by gur manufacturers and not simultaneous harvesting of the entire crop as needed by mills. Two: they use gur in their homes which they make even if they take bulk of their crop to mills. This can be avoided by providing fodder seeds and supplying farmers with sugar on deferred payment,” says Shah. Khyber Pakhtunkhwa produces about 1.3 million tons of sugarcane. It can produce up to 0.1 million tons of sugar if cane supply to mills is improved. But the problem is that the area under cane cannot be increased because of its competition with wheat or maize and water shortage. “Investment in research for high-yielding cane varieties and increasing per acre yield with better sugar content is the need of the hour. Millers should also help, ” Jehangir argues. intends to reconsider provincial agriculture policy that was enforced in 2005. The review and reshaping of agriculture policy is the need of the hour as it has failed to address major issues confronting the farmers and farming in the province. The main goal of the agriculture sector, as per the 2005 agriculture policy, is to ensure food security and alleviation of poverty, but the low per acre yield, land erosion, negligence of livestock, especially milk/meat-farming, failure to prepare and disseminate better animal fodder, outdated farming and lack of water/soil conservation practices and poor agricultural marketing and lack of a crash programme for the uplift of agriculture have made it impossible. The sector has been ignored and allocated insufficient funds — ranging from one to two percent — in the provincial Annual Development Programmes (ADPs) by successive provincial governments despite the fact that it accounts for over 20 percent of provincial gross domestic product, accounts for 45 percent of the total labour force and it is the main source of income for about 80 percent of its population. Khatak agrees that the main problem confronting the agriculture sector in the province was poverty and inability of small farmers to buy quality inputs. “They have been neglected in the 2005 policy. They will now be listened to and empowered,” he adds. To a question, Khatak says prices of inputs were beyond the jurisdiction of agriculture ministry as these were determined by the market forces and inflation. “We will ensure timely and easy availability of the commodities to farmers. For this purpose, farm services centres have been established and more such bodies would be formed in the hitherto uncovered areas,” he informs. To enable them buy inputs at their hour of need, Khatak says, the banks are already providing agriculture credit to small farmers at 8 percent mark up in the province to buy inputs and services. “And the provincial cooperative bank and its cooperative societies have also been revived this year. The government would provide Rs1 billion seed money to the bank to give easy farm and non-farm loans to small farmers and rural women to increase their incomes. The Bacha Khan Poverty Alleviation Programme (BKPAP) has also been started in some districts which would provide farm inputs and financial, technical and educational support to thousands of farmers,” he explains. Farmers’ income can be increased by ensuring improved marketing of their products, “We intend to establish more regulator markets province-wide. At present, these markets function only in two districts. These markets will have market committees comprising 6-10 farmers plus one official. They will weigh, assess and sell farmers’ produce. Farmers will get good price for their produce and hard work,” Khatak hopes. Niamat Shah, Vice president of Anjuman-e-Kashtkaran Khyber Pakhtunkhwa, says cost and unavailability of farm inputs is one of the major problems, “Though the seed research farms have developed quality seeds for different crops but their timely and easy availability has always been a problem. About 80 percent farmers have no access to quality seeds and modern agriculture technology,” he claims. “The government has so far failed to streamline input distribution. Mass availability of under-weight and fake fertiliser/seeds varieties will have to be checked as these are adding to problems of farmers,” he points out. The department seems to be focussing on the Farm Services Centres (FSCs) for improving input availability. But unless these bodies are expanded to each union council or village and their number and membership is increased — there are only 60 FSCs province-wide at present which have only around 45000 members while millions of farmers are out of its ambit — and their weaker financial position of the bodies is improved by giving them financial support as they have to buy and sell inputs through their revolving funds, the idea may not work. The BKPAP can solve some of the basic problems of farmers but more funds will have to be allocated to increase its area of application. Shah argues that the agriculture sector should be allocated five percent of ADP for the time being, which should be gradually increased later as without funds and robust attempts nothing can be achieved. “Sufficient money should be earmarked to do research on, and development of, seeds. High-yielding seed varieties must be imported as was done during Ayub’s era. Also, easy and timely availability of seeds and other inputs should also be arranged for through improved distribution network,” he suggests. “To cope with decreasing agriculture land for its unprecedented consumption by real-estate sector, the government will focus on bringing vast cultivable wasteland under cultivation by leveling and developing it through bulldozers and tractors,” Khatak explains. Increasing the acreage demands more irrigation water which is already scarce. “This problem will be tackled by efficient management of available water for which schemes have been suggested and through extension of irrigation infrastructure in the province by building new dams which is what the irrigation department is doing,” he adds. “The department is also working out on how to cope with new and bigger responsibilities following the devolution of the some departments to the provinces,” Khatak says. If expert advice, machinery and marketing support are provided to farmers, it will shift their farming from subsistence to commercial/modernised one. Household farming should be developed. The role and impact of the middle-men in agri-businesses must be minimised to increase farmers’ incomes. Livestock accounts for 50 percent of provincial gross domestic product but it continues to be neglected. It still has no separate secretary and is being supervised by agriculture secretary. There should be special plan for livestock farmers in rural areas. Promotion of agriculture is the most effective tool for eradicating poverty and, therefore, terrorism and extremism. But traditional methods, paltry allocations and weak commitment cannot develop the sector. The government will have to opt for out-of the-box solutions to develop the sector.